ARLINGTON, MA, March 5, 2013 — The National Institute for Student-Centered Education has announced that Dr. Larry Myatt, cofounder of Education Resources Consortium, will serve as Honorary Conference Chair for INSPIRE 2013 The First NISCE Conference on Student-Centered Education, a national event featuring gifted speakers exploring current thinking on school reform and the emerging importance of a more student-centered education. Dr. Myatt has over three decades of experience in education. The founder and President of the Education Resources Consortium, and the co-founder of Boston’s Center for Collaborative Education, Dr. Myatt was also the founder of Fenway High School in Boston, a model small school for the nation, and its head of school for 20 years before accepting an assignment to advise Boston’s High School Renewal Initiative. In addition, Dr. Myatt designed and directed the Boston Principal Residency Network at Northeastern University from 2000-2008 and is a recipient of the Harry S. Levitan Prize from Brandeis University for career accomplishment in education. He is a former Coalition of Essential Schools National Faculty member at Brown University and consultant at the Annenberg Institute for School Reform. He has led and consulted to school re-design efforts in numerous cities and states and is a Founding Convener for The Forum for Education and Democracy and the Chair of the Board of Trustees of the Boston Green Academy. 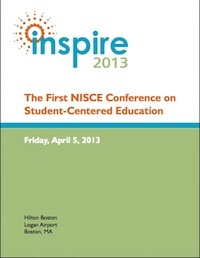 INSPIRE 2013 will be held on Friday, April 5, 2013 at the Hilton Boston (Logan Airport). The conference is expected to have 300 attendees and is hosted by Schools for Children, Inc. and the National Institute for Student-Centered Education. Photos and video are available. 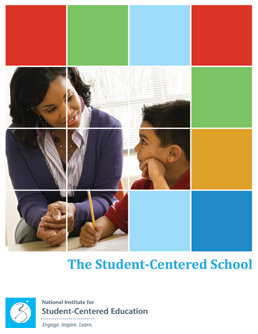 Founded in 2012 by the Massachusetts nonprofit Schools for Children, Inc., The National Institute for Student-Centered Education (NISCE) seeks to to catalyze grassroots support for a vision of education where students—not politics, not tests, not expediency—are at the center of learning, and where all students have the opportunities and resources they need to succeed. For more information visit www.nisce.org. ABOUT SCHOOLS FOR CHILDREN, INC.
Schools for Children, Inc. is a Massachusetts nonprofit organization that creates and manages great schools and educational services. For more information, please visit www.schoolsforchildreninc.org.